To provide DSEF Fellows and other Academic Partners with relevant teaching content to use in their classrooms, the Foundation has produced two 10-minute videos designed to educate students about business trends such as big data analytics and the sharing economy, and to advance their understanding of the direct selling channel. Tools such as these allow DSEF to reach thousands of students beyond those who attend our campus programs and other events. Earlier this year, DSEF held a Campus Event on Micro-Entrepreneurship and the Gig Economy at Belmont University, featuring Lori Bush, retired President and CEO of Rodan + Fields, and Will Reinhart of the America Action Forum. Through the video teaching tool based on the day’s discussion, students will learn how direct selling is an effective, modern, go-to-market strategy, as well as a mainstream form of micro-entrepreneurship. In June at DSA’s Annual Meeting, DSEF featured a general session panel, “What Big Data Can Do for You.” The new classroom video based on the panel discussion — and featuring Dr. Liz Davis, University of San Francisco; John Parker, Amway; Bill Schmarzo, EMC; Frank Perkins, Saleforce.com; and Brian Hopkins, Forrester Research — will help students understand how successful companies turn data into actionable business strategies. Every day, direct selling companies and the independent salespeople that represent them make a difference in the lives of their customers and their communities. The Direct Selling Education Foundation (DSEF) shared that message nearly 1,000 students and their 13 professors at the University of Georgia(UGA) and Athens Tech during the “Entrepreneurship and Social Responsibility: We Can Make a Better World” multi-campus event on February 23. To bring our industry’s commitment to social responsibility and entrepreneurship to the classroom, DSEF partnered with Dr. Brenda Cude, Professor and Undergraduate Coordinator in UGA’s Department of Financial Planning, Housing and Consumer Economics (and DSEF Board Member) and Jared Bybee, Director of ThInc UGA. ThInc is a celebration of innovation and entrepreneurship through events that engage, inspire and transform ideas to reality. “This campus event was an invaluable opportunity for students and their professors to see companies putting into practice ideals of social responsibility—in the company’s own business model in the case of Trades of Hope and through 4Life Research’scommunity outreach programs,” says Brenda. For professors, DSEF Campus Programs provide access to leading industry executives on important issues and business solutions. 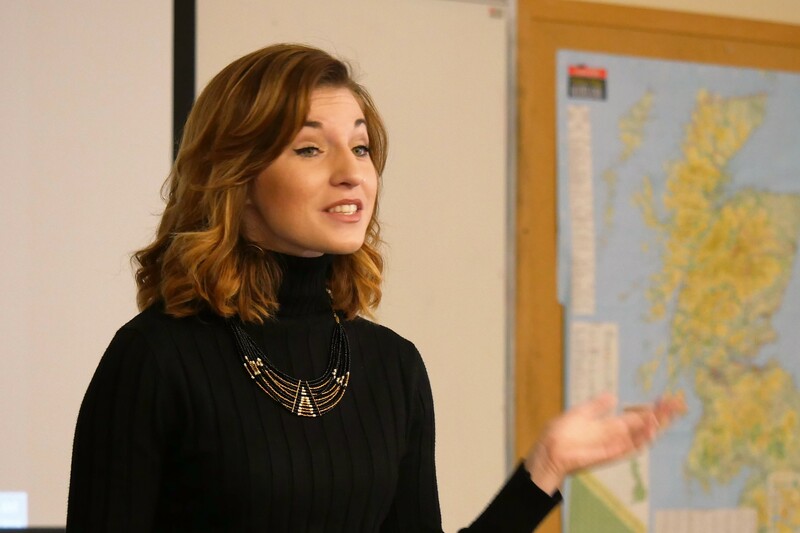 “The speakers presentations fit well with the concepts we’re studying in class – marketing, branding and how corporate social responsibility influences customer perception,” says UGA Professor Diann Moorman, who teaches an Introductory Consumer Economics class. DSEF’s next Campus Program will be held March 30, 2016, at Belmont University in Nashville, TN. 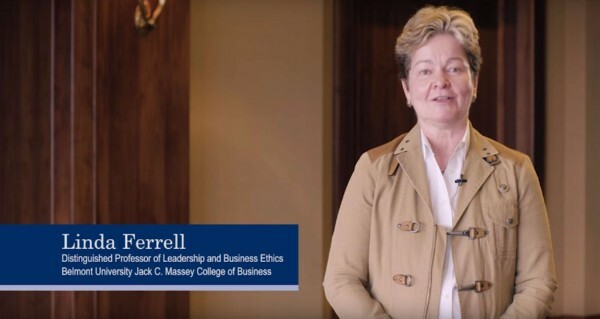 Linda Ferrell, DSEF Board Member and Belmont University’s Distinguished Chair in Business Ethics, will host and moderate a panel discussion on Ethical Leadership in the Gig Economy.Speakers include Lori Bush, Rodan + Fields; and Will Reinhart, American Action Forum. For more information, contact Kimberly Harris Bliton, DSEF’s Director of Academic Initiatives. While leading academics, labor organizations and policymakers publicly discuss the growing trend toward independence in the workforce and its implications on US economy, the direct selling channel has long been a path to market for innovators and a driver of opportunity for entrepreneurs. DSEF, which serves as the direct selling community’s education ambassador, explored this topic with professors, students and local businesses at the “Micro-Entrepreneurship and the Gig Economy” campus program at Belmont University in Nashville, TN, on March 30. The campus program featured Lori Bush, Executive Advisor, Retired President and CEO of Rodan + Fields, a premium skincare company that uses the direct selling channel to market and distribute its products, and Will Rinehart, Director of Technology and Innovation Policy from American Action Forum, a policy think tank organization based in Washington, DC. Lori explained to students and faculty how direct selling fits in the sharing economy—direct selling companies share marketing resources with independent entrepreneurs who can build businesses of their own. Drs. Linda and OC Ferrell, Distinguished Professors of Leadership and Business Ethics at Belmont University, hosted the Foundation’s event. “Our students are thirsty for knowledge on how to be entrepreneurs. Will presented the opportunities in the gig/sharing economy and Lori nailed the way micro-entrepreneurship (direct selling) fits in. We have an amazing opportunity to connect with faculty and students in a way we have not had before,” Linda says. DSEF plans to significantly expand its academic outreach over the next three years. The Foundation is uniquely positioned to open a dialogue with academic and students to demythify the channel through campus programs, academic symposiums and research. DSEF’s most recent Campus Event at Florida State University (FSU) showcased one company’s extraordinary commitment to sustainability and corporate social responsibility. Randi Farina, Vice President of Business Development of Living Fresh Collection, shared her company’s story with more than 500 FSU students on October 22. Living Fresh Founders Diana Dobin Kauppinen and Michael Dobin created a healthy line of luxury linens made from Tencel+Plus™ Lyocell (fibers from eucalyptus). “It was amazing to see so many students at FSU share in our mission of sustainability, which gives us confidence in the next generation of business owners and entrepreneurs who truly want to make a difference,” Randi says. DSEF campus programs are designed to go beyond the one-day interactions between executives, professors and students and create layers of value and opportunity. For students, additional benefits include talking first-hand to business professionals in their field, internships and experiential learning opportunities. After each presentation, Randi generously shared her time with every student who approached her and invited them to take a tour of Living Fresh Collection in their new, green business place. Strategic investment in academic partnerships can challenge and enrich academic thinking about the direct selling industry. That’s why the Direct Selling Education Foundation created the Executive Guide to Academic Engagement. The Guide provides direct selling company executives all the information they need to partner with the Foundation on academic initiatives and serves as an executive resource for company-to-university partnership development. Academic engagement, whether through the Foundation or on your own, can benefit your company in a variety of ways. Mary Kay is among the many companies that have experienced success through academic partnerships. “Sharing your company’s business model and leadership principles can lead to case studies at top business schools, sections in college textbooks and company brand awareness and image enhancement in your community and among academics and civic influencers,” says Kerry Tassopoulos, Mary Kay Vice President of Public Affairs, Compliance and Risk Management and DSEF Board Member Education Committee Chairman. To complement the Guide and support direct selling executives in building presentations for the classroom, DSEF developed additional Campus Program resources, which are available for download. Download the Executive Guide to Academic Engagement today. For printed copies or to learn more, email Kimberly Harris Bliton, DSEF Director of Academic Initiatives, or call 202-416-6407. In just a few days, direct selling company executives and suppliers will gather in San Antonio for the industry’s premier event. Returning as a highlight of the Direct Selling Association’s Annual Meeting is DSEF’s Experience of a Lifetime Auction. Marking its second year as DSEF’s marquee fundraiser, the 2015 Experience of a Lifetime Auction includes a new twist: a Silent Auction to complement the Live Auction held at the Awards Gala on June 2. The decision to include a Silent Auction component resulted from the success of last year’s event, which remains among the most memorable fundraisers in DSEF history—and allows the Foundation to expand its work on behalf of the industry. Last year’s event can be described as nothing less than epic. 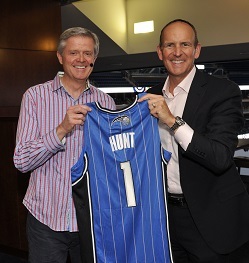 Truman Hunt, President and CEO, Nu Skin Enterprises, and Orville Thompson, CEO, Scentsy Inc. went head-to-head in a bidding war for the chance to attend an Orlando Magic game in the Founder’s Suite—as the guest of Amway’s Chief Sales Officer John Parker and President Doug DeVos. When the bidding topped $50,000, John, who also serves as DSEF Board Chair, agreed to offer the package twice, raising $100,000 for the Foundation in a matter of minutes. The fun, camaraderie and healthy competition that characterized 2014’s Experience of a Lifetime auction are only part of the reason that DSEF moved to expand the 2015 effort. The enduring excitement from 2014’s auction continues to drive anticipation for this year’s event. In reflecting upon last year’s auction, Traci Lynn Burton, Founder and CEO of Traci Lynn Fashion Jewelry, recalls how her adrenaline took over when she submit the winning $5,000 bid for a skydiving adventure with USANA’s CEO Dave Wentz. DSEF’s programs and partnerships would not be possible without the support and engagement of our contributors and volunteers. 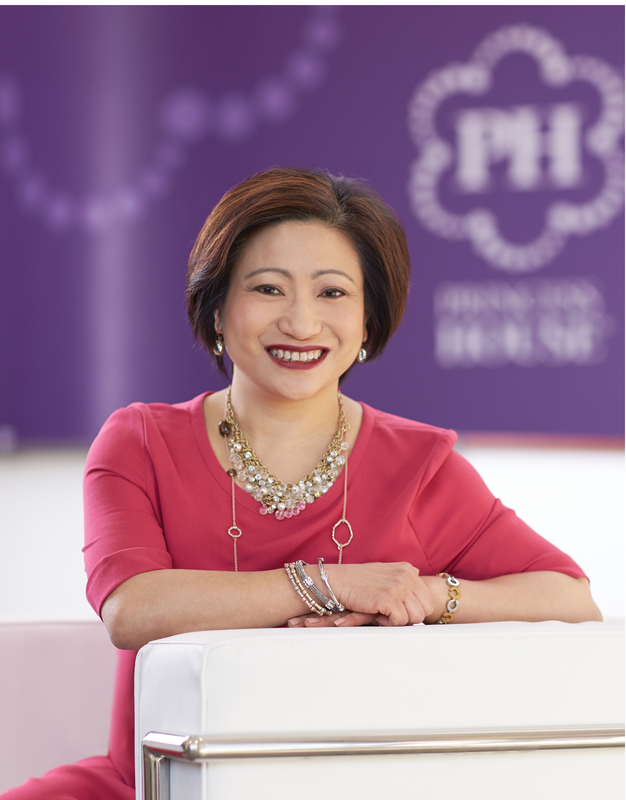 Connie Tang, President and CEO of Princess House and a DSEF Board Member, is a tireless advocate for the Foundation. We recently spoke to Connie about her—and her company’s—involvement with the Foundation. How did you become involved with DSEF? I’m a great believer in the power of direct selling. I don’t know of any other industry that’s so rich in the range of opportunities it provides for individuals. I became active with the Direct Selling Association as a Board Member, and learned more about how the Foundation’s work reaches beyond the obvious stakeholders into the public arena. That was exciting – the opportunity to open minds and eyes to what this industry can do as a vehicle to entrepreneurship, personal/professional empowerment and realizing the American dream – all through the Foundation’s outreach. 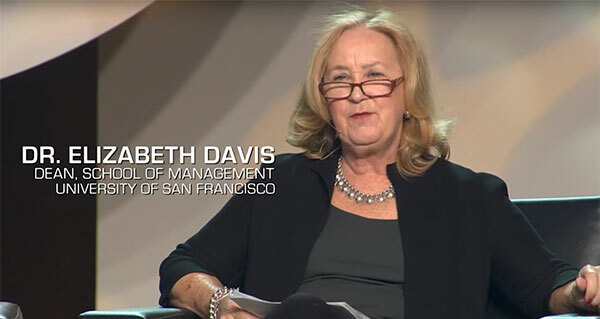 How do DSEF programs help Princess House, its salesforce, and the industry? I can honestly say that there is not one DSA company that doesn’t benefit from the DSEF, and that includes Princess House! Direct selling is an equal-opportunity business that benefits people regardless of background, culture, age and education. That means people who join our industry may have varying levels of education and professional/life experience. The outreach programs the DSEF supports and/or conducts in collaboration with educators, consumer advocacy administrators and public policy makers are all meant to provide free, open access to information and education to everyone to equalize some of those potential knowledge gaps. The DSEF serves as a source for potential direct sellers and/or customers to find facts about the industry. The Foundation’s Direct Selling Entrepreneur Program provides college students the opportunity to experience, learn and discover what entrepreneurship through direct selling means. The plus is that the skills sets that can be acquired through the course curriculum are transferable to any and all facets of business or corporate endeavors. What specific DSEF programs are you most excited about? In addition to the programs I mention above—the grassroots, face-to-face opportunities that DSEF provides for us—as industry stewards—to meet, engage and interact with future, would-be direct sellers are incomparable. Participating in the University of Georgia’s Thinc Program recently gave me just that opportunity to be in the presence of our potential next generation direct sellers and plant some seeds, make some (hopefully, positive) impressions and correct some misconceptions or unfounded assumptions about what we do in the world of direct selling. You’re involved with DSEF in so many ways: You serve on the Board of Directors, the Executive and the Development Committee; you’ve participated in many DSEF programs, including speaking to students last month at the University of Georgia; your company is a DSEF contributor and you also contribute personally. Why do you think it’s important to support the Foundation? The role DSEF plays in supporting and communicating the ethical standards of the industry is very important. Any industry’s credibility comes from its adherence to a rigorous, fully articulated code of ethics. The credibility of DSEF is also reflected by the level of participants/participation and each one of us can directly impact that credibility in an upward and positive fashion. Britney Vickery, Founder and CEO, Initials, Inc.
For more than 25 years, DSEF’s Campus Days at colleges and universities across the country have connected direct selling executives with students and educators to advance understanding of our industry. The Foundation’s most recent Campus Event on March 27 provided a powerful venue to shine a light on direct selling—both as a channel of distribution and as an entrepreneurial and opportunity. Connie Tang, CEO, Princess House, and Britney Vickery, Founder and CEO, Initials, Inc., were featured presenters during the University of Georgia’s (UGA) Thinc Week—an annual campus-wide initiative designed to inspire entrepreneurship among students and faculty. 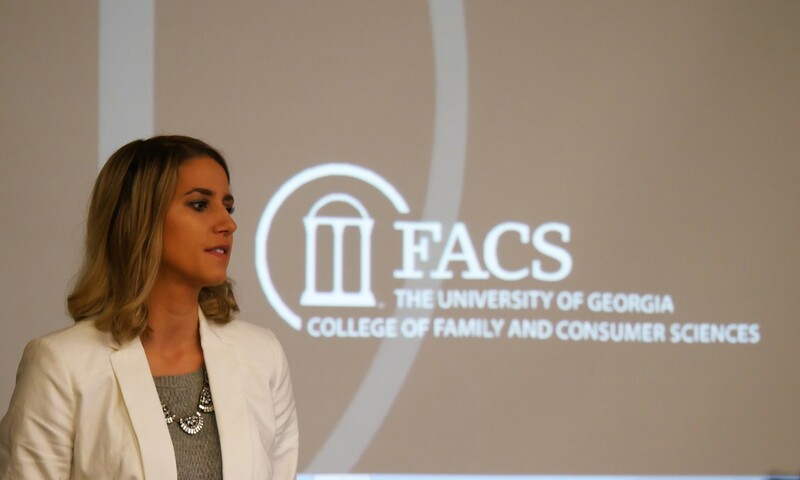 DSEF Board Member and UGA Professor Dr. Brenda Cude hosted the Foundation presentations as part of “Start Something…On Your Own,” an event for undergraduate students in five different courses at UGA as well as students from Athens Technical College. Britney and Connie capped off their visit with a panel discussion attended by more than 130 students as well as UGA faculty and staff. Rich McCline, Senior Public Service Associate for UGA’s J.W. Fanning Institute for Leadership Development, moderated the panel. That’s exactly what a reporter from The Hill wrote after attending DSEF’s April 6 event at the National Press Club in Washington, DC: Consumer Protection: A Multi-Industry Conversation on Ethics & Self-Regulation. The event featured opening remarks from Commissioner Maureen Ohlhausen of the Federal Trade Commission (FTC), and panelists from several industries—including Direct Selling Association President Joe Mariano. 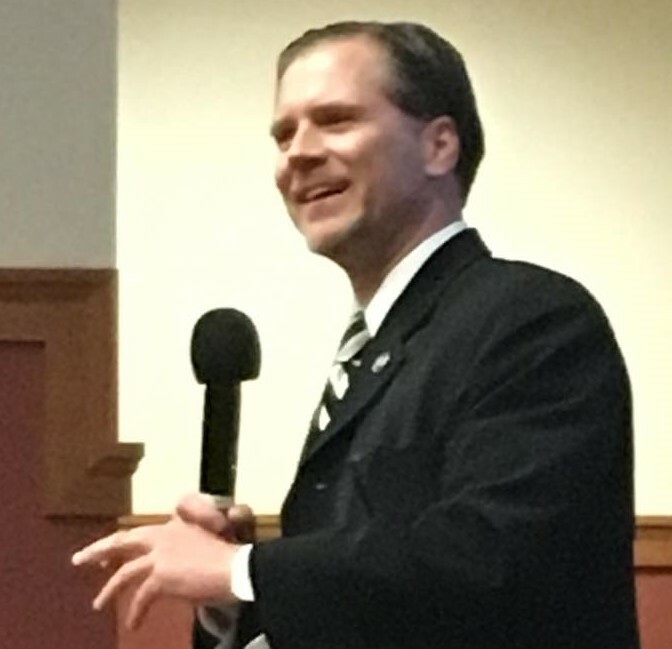 “This public forum not only demonstrated our industry’s commitment to ethics, it embodied the Foundation’s mission to advance understanding of the direct selling business model and our industry’s leadership role in consumer protection,” said Gary Huggins, DSEF Executive Director. The roundtable discussion on consumer protection issues and the role of self-regulation was moderated by George Washington University Professor Howard Beales, former director of the FTC Bureau of Consumer Protection. Joe was joined on the panel by Lynne Omlie, Distilled Spirits Council of the United States (DISCUS) Senior Vice President, Secretary & General Counsel; and C. Lee Peeler, Advertising Self-Regulatory Council (ASRC) CEO and Council of Better Business Bureaus (CBBB) Executive Vice President of National Advertising. Introducing the panelists, Dr. Beales noted there is no “one right way” for industries to self-regulate and Lee Peeler agreed. “Today’s discussion is an excellent opportunity to share best practices in three successful self-regulation models and how we might adjust our approaches to better meet the needs of consumers,” he said, adding that the hallmark of effective self-regulation include clear standards, transparency, accountability, industry support and adequate funding. Panelists: Lynne Omlie, Distilled Spirits Council of the United States Senior Vice President, Secretary & General Counsel; Joe Mariano, Direct Selling Association President; and C. Lee Peeler, Advertising Self-Regulatory Council CEO and Council of Better Business Bureaus Executive Vice President of National Advertising. Thirty-nine people attended the event, including CBBB staff, consumer protection leaders, local county regulators and representatives from Amway, Herbalife and Mary Kay. Attendees received DSEF’s Consumer Protection Toolkit, created to support the FTC’s in their efforts to educate the public about fraud, deception and unfair business practices in the marketplace. The kit includes various resources from the FTC and other state and local consumer organizations, as well as materials highlighting the consumer protections measures afforded by DSA’s Code of Ethics.